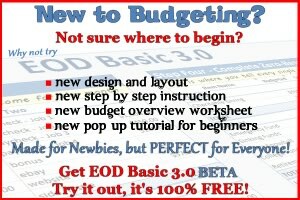 If you have been a fan of Enemy of Debt for anytime at all, then you know I became debt free by using the debt snowball method. 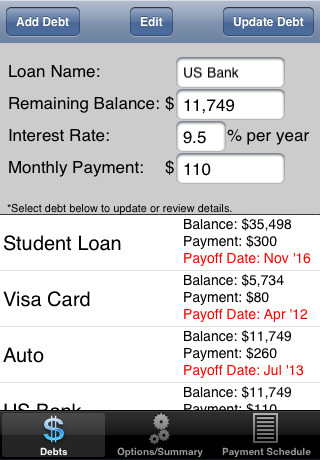 I didn’t have an iPhone, iPod Touch, or an iPad when getting out of debt, but if I did, I would of definitely loved being able to track my progress using this App. Thanks to Matthew King, today I will be giving away Five Debt Snowball Pro Apps to help you manage and track your debt elimination progress with ease. There is much controversy in the financial world about which technique should be used when paying off your debts using the debt snowball method. You can organize and pay off your debts according to smallest balance, highest interest rate, and even by paying off the debt with the smallest minimum payment first. I of course, believe that achieving the faster, small victories is the key to keeping you motivated so we paid off our debt by placing all of our debt on a list from smallest balance due to largest balance due. What I love about this App, is that it gives you the option to choose which technique works best for you or your math oriented brain. I say that in love, but must point out, that getting out of debt isn’t always about math, it’s about intensity, motivation, and determination. You can do math all day long, but if you have none of those things going for you then your debt elimination struggle will be more difficult, if it’s not a complete failure. With that said, I still believe in choices and for some people, different techniques work better for them than they do for others. Hooray for choices! I think the most important choice being made at this point is the one that says YOU WANT TO ELIMINATE YOUR DEBT. How you do it is up to you, as long as you do it, am I right? Check out what the Debt Snowball Pro App can do for you, and if you have an iPhone, an iPod Touch, or even an iPad, be sure to enter this giveaway by following the directions listed at the bottom of this post. Ability to add and remove debts, update balances, and see when you will be debt-free. 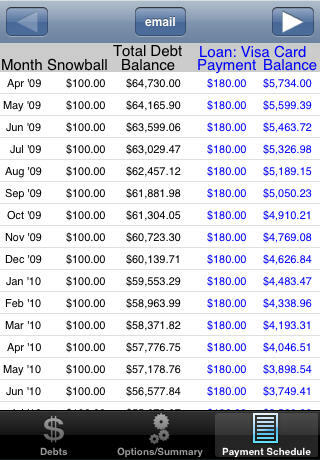 Shows interest saved and debt payoff dates. Detailed Payment Schedule spreadsheet, showing effects of applying snowball payments to individual debts. 1. Enter all your debts on the debt tab (figure 1 below). You review debts by clicking on them in the table. You can delete debts by clicking edit. To update a debt you first review the debt, change the relevant information, and click update. The debts listed in the table will also give the payoff date for each loan based on the payoff method selected in the options/settings tab. 2. 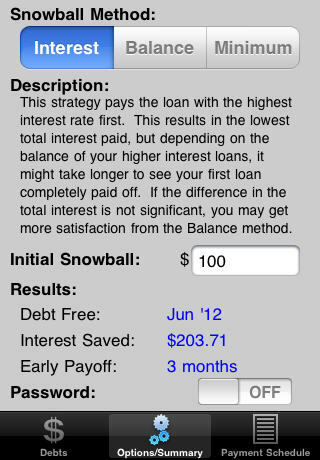 Go to the options/settings tab (figure 2 below) and choose your payoff method and initial snowball. The initial snowball is the money you are initially willing to apply toward your total debt. This tab will also give you a short summary of when the debt will be paid, and how much interest and time will be saved by applying the selected payoff method. 3. Go to the payment schedule tab (figure 3 below) and review the schedule for your total and individual debts. One debt will be displayed at a time. Toggle using the arrows to show other debts. You can also use the email button to interface with the mail app and send a copy of the complete payment schedule. What is more valuable to you when paying off debt; paying the smallest balance or highest interest rate first? Tweet this post. (make sure @enemyofdebt is in your tweet.) Worth 5 extra entries! Stumble this post. Worth 5 extra entries! Tip this post. Worth 5 extra entries! All entries must be submitted by Tuesday September 28th at midnight! I will be selecting the winners via random.org, and will update THIS POST to let you know who the winners are by Wednesday. The winners of the Debt Snowball Pro app’s are Mike, Gina, Beckey and Jeff, TdoubleU, and Rena!! Congratulations ladies and gents! I will be sending an email with your free codes today! Again I apologize for making you wait! This is an excellent App! One of the most important keys to success when trying to get out of debt is ‘Concentration’ on the goal. The Debt Snowball is a goal. Having the information readily available to look at may keep more people motivated towards attaining their goal of becoming debt free. I definitely went backwards. Smaller, but quicker successes was the mental push I needed to keep plowing through my debt! Cool app! Thanks for developing it. We have started with small successes, so paying smallest to biggest. We have paid off $7,798.26 since January. It definitely works for us, gives us motivation just to see that number climb and know we have made it through several emergencies, that we did NOT finance. woohoo!!! thank you for ideas and inspiration!! We have definitely done the smallest balance first but I think once we get the smaller cards/debts out of the way, we will switch to highest interest. Get that debt off that has the highest interest, baby! That is your cost of borrowing, regardless of where that dollar of debt is sitting. I would love the iPhone app! this app should give no excuse for not knowing how powerful this concept really is. Definitely pays to get momentum going by killing the smallest first and then attacking the next. Intensity! Thanks for the app! Already using it.